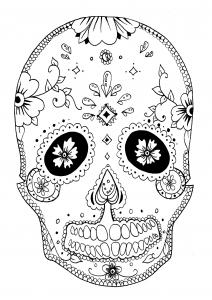 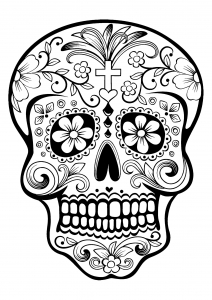 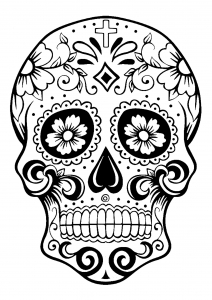 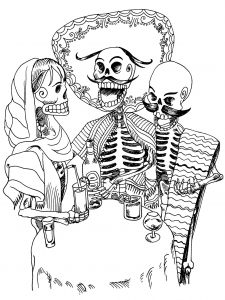 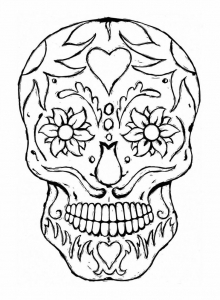 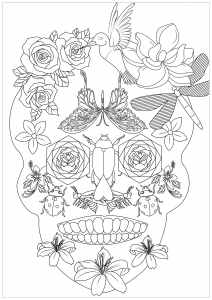 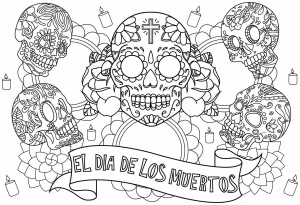 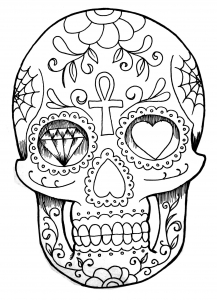 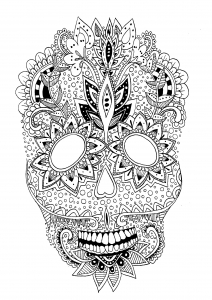 Discover our coloring pages inspired by The Day of the Dead (Día de Muertos). 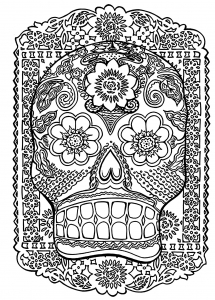 This is a Mexican holiday celebrated throughout Mexico, and by people of Mexican ancestry living in other countries, especially the United States. 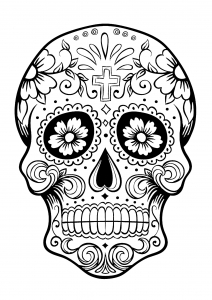 One of the main symbols of this celebration is the skull (in Spanish calavera), which celebrants represent in masks (calacas), and foods such as sugar or chocolate skulls. 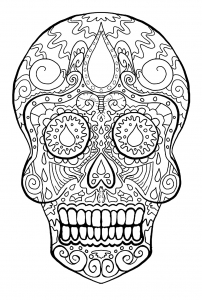 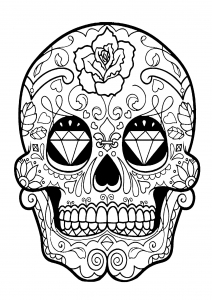 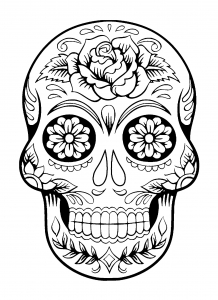 With our Día de los Muertos coloring pages, you will have the opportunity to add the colors you want to these very special skulls ! 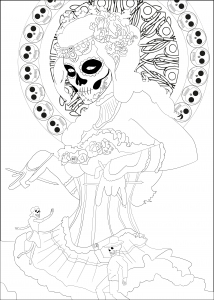 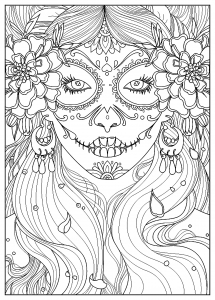 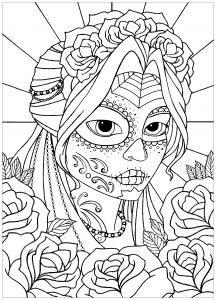 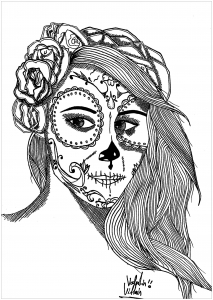 Coloring page representing a woman with a makeup inspired by the Mexican holiday celebrated "Día de los Muertos"
An original skull for a relaxing moment with a coloring page.